The 3DS just keeps right on chugging along with new releases such as the Metroid: Samus Returns, Monster Hunter Stories, and Pokémon Ultra Sun and Ultra Moon to look forward to in the coming months. 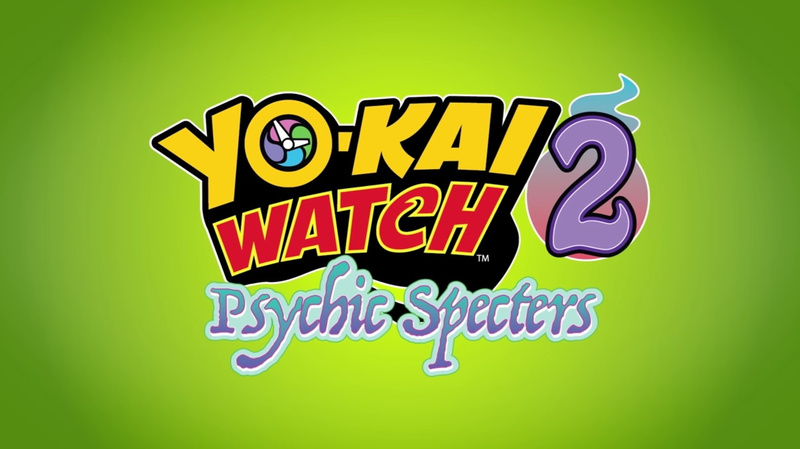 That last one, of course, has competition with Yo-Kai Watch 2: Psychic Specters, the enhanced third version of Yo-kai Watch 2. Up until now, we just knew it was coming sometime in ‘Fall 2017’, but now Nintendo has confirmed a hard release date for the game. What do you think? Will you be picking this up? How long do you think it’ll take for Yo-Kai Watch 3 to reach the West? Share your thoughts in the comments below. AAAAAAANNNDD there it go my Money. I really hate this ways Level-5 are doing things. Not even pokemon are so radical with their 2/3 versions. I'll just get Metroid: Samus Returns instead since i'd rather get DAT and also my sister in into DAT, and for mii = nadda really. I played and enjoyed the first game for about 30 hours. The whole time I couldn't stop thinking how much my ten year-old self would be enjoying it way more. ...that Bill ate the donuts. I'll be picking up this one if I like its predecessor enough. Definitely getting this! Was still playing YW1 when YW2 came out, so I missed the original versions. IT WAS MEANT TO BE! @Manjushri You summed up my experience. I didn't even last that long. I really tried enjoying myself but I couldn't stop thinking how much more fun I'd have if I was younger... And playing a different game like Pokémon. Loved Yo-kai Watch 1, but I'm not buying 3 versions to get all the content from what should be 1, or at a stretch 2, games. Hmm, not sure what I'm doing. After skipping the original double release (and enjoying the first one) I think that I'll buy this one. That said the approach was awful. They should bring only the third version to the west. If you haven't bought a Yo-Kai Watch game yet, I implore you to get this one. It really is better than you probably think it is.